One of the great things about the rate at which technology continues to advance is that, eventually, a particular type of product manages to evolve beyond what it was originally intended for. GPS trackers, for example, used to be dedicated purely to giving people turn-by-turn directions between any two points. Flash forward a few years and they’re now a prominent part of everything from large commercial fleets to individual emergency response vehicles and nearly everything in between. But GPS trackers aren’t only needed to monitor something like a vehicle at all. These days, they can be dedicated to keeping you in the loop about something far more important: your children. If you’re in the market for a GPS tracking device for your kids, there are a few key things you’ll want to keep in mind. 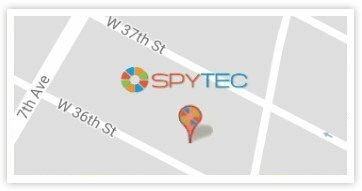 Obviously, any GPS tracker designed specifically for your kids is going to allow you to check in on their current location from any computer, smartphone, tablet or other mobile device that you may have. So for the sake of discussion, let’s go beyond this feature to dive deeper into some of the more advanced, more specific options that you should be exploring. On that note, one of the most important features that you should look for involves two-way calling — something that essentially allows the tracker to double as something of a walkie-talkie of sorts. With just the press of a button, a two-way call can be initiated between the child and a parent or guardian and vice versa. This isn’t the same as buying your child a mobile phone, however, as calls from strangers and calls to any number that isn’t explicitly stated are blocked. So if you don’t think your little one is ready for an iPhone yet, but you still want to be able to get in touch with them at a moment’s notice, this would absolutely be something worth exploring. Another important feature to look for involves a waterproof design — or at least one that is water resistant. Even going beyond the occasional rainstorm, you truly never know what your child may be getting into when you’re not around. If your GPS tracker is going to continue to be effective for the long haul, it needs to be able to withstand whatever life — and your child — manages to throw at it. Without at least a water-resistant design, this absolutely isn’t going to be the case. Likewise, you’ll want to spend the money to invest in a tracker that offers location-based alerts. Typically, this works in two distinct ways. If your child is off to a friend’s house, you can get an alert to your smartphone or tablet instantly when they arrive at that location. If they happen to go somewhere they shouldn’t, or if they leave a pre-determined area without your knowledge, you’ll also receive the same type of alert. This is a great way to not only make sure that your kid arrives safely at school, but to also guarantee that they stay there throughout the day. It’s also a way to let your child live their own life on their own terms, giving them the independence they seek while still generating the insight and visibility you need as a parent to rest easy. Finally, you’ll want to invest in a unit that includes Wi-Fi support if you can afford it. Generally, GPS trackers designed for children use cellular signals (and GPS satellites, of course) to determine that person’s current position. If they go indoors, however, they could lose that reception — meaning that the device itself will suddenly become useless. If the GPS tracker has Wi-Fi support, on the other hand, you don’t have to worry about a thing — even if a cellular data network is totally cut off, you’ll still be able to see exactly where your child is at any given moment with just a few quick clicks of a button. Where is a GPS tracking device installed on a car?